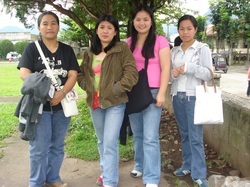 PHOTOS - IGOROTA FOUNDATION INC.
IFI staff on their way to Tacadang, Kibungan, Benguet. 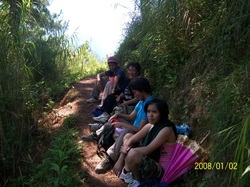 Field work in Tacadang Benguet takes around 8 hours hike. 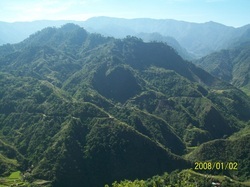 But for Meldrin Marcelino, Alice Makay, Corazon Pindog and Merqula Estepa, it's worth for the scenery of virgin forests and the pristine environment takes all the sweats away.